Low cost, high quality education is perhaps one of North Carolina's best features. The state is home to 37 independent colleges and universities, ranging in size from 500 to 12,000 students. The average enrollment is 1,868, while the average enrollment at four-year state institutions is 9,725. In most private colleges and universities, education is carried out in small classes by professors who are dedicated to undergraduate teaching, not research. This atmosphere enables students to develop close personal relationships with their professors. Partly because of the 'personal touch', students who complete their undergraduate degrees at North Carolina independent institutions are more likely to do so in four years than their counterparts at state institutions. The advantage to students attending independent colleges and universities is evident for all ethnic groups, and students are also more likely to pursue graduate studies than their state sector counterparts. Most of North Carolina's private colleges and universities have a variety of programs from which students can choose. However, the majors available will differ from campus to campus. The liberal arts education that is the basis for academic programs at virtually all independent colleges provides a solid foundation for a lifetime of opportunities, as it enables students to build their careers and adapt to the ever-changing global marketplace. North Carolina's independent institutions provide access to students regardless of their family income, with most offering academic and athletic scholarships to qualified international students. And speaking of athletics, most private colleges and universities offer a wide variety of athletic and extracurricular programs, such as student government, service clubs, performing arts, religious groups, and inter-collegiate and intramural athletics. Since international students aren't competing with thousands of other students for limited spaces to fill a particular activity, they are freer to participate in a variety of these special-interest programs. North Carolina is as diverse as the private colleges and universities that are located within its boundaries. Of the 50 United States of America, North Carolina is the 28th largest in size, the 11th largest in population, and certainly one of the most beautiful and diverse states in America. From the mountains to the coast, North Carolina is known for its multifaceted terrain and mild climate. The state is divided into three distinct geographic areas - the mountains, the piedmont, or rolling hills, and the coast. The climate is generally uniform, ranging in temperature from 22 to 92 degrees Fahrenheit, with abundant and well-distributed rainfall. Winters are rarely extremely cold, and although summer can be somewhat hot, an escape can always be found in the cooler mountain air or the breezes at one of the state's many public beaches. North Carolina also has a variety of state parks, as well as national and historical landmarks. As you can see, North Carolina is as varied as the independent colleges and universities that make their home there. So, whether you live around the world or just down the street, North Carolina's private colleges and universities have a special place for you! 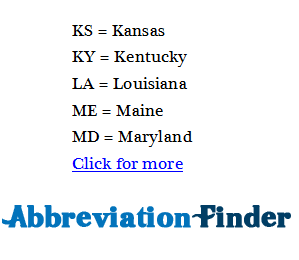 NC stands for North Carolina; for other definitions, please refer to abbreviationfinder.org.